Reel Strike is one of the most popular tournament convertibles ever produced, this Hatteras 46 was built on the single-chine Hatteras 45 hull, a proven bottom design with a deep, full-length keel and modest transom deadrise. Aside from being an excellent fisherman with good open-water handling characteristics, Reel Strike’s comfortable interior accommodations-with traditional teak woodwork- make her a popular boat for cruising too. Reel Strike has the galley up floorplan which allows for a third sleeping area off the companionway and space for a washer and dryer. Reel Strike is powered with 8V71T is recently rebuilt and will cruise at 19-20 knots (about 23-24 knots top). In addition, her Alison transmissions have also been rebuilt with virtually zero hours. The bottom has been completely peeled of blisters and has been dried out. Boat is awaiting its new owner to complete the bottom job as desired. Significant price reduction that is FIRM! Sold AS IS! 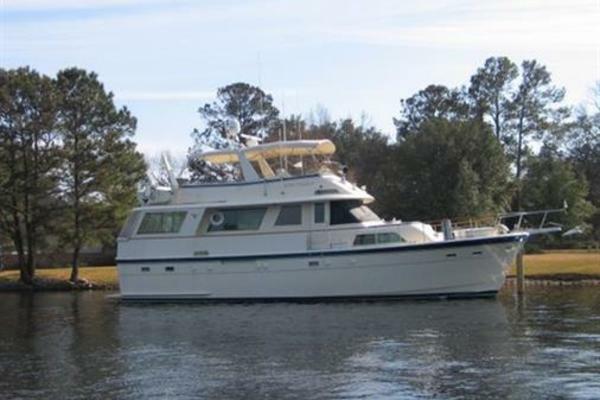 West Florida Yachts would love to guide you through a personal showing of this 46' Hatteras Convertible 1983. This yacht for sale is located in Hernando Beach, Florida and priced at $45,000. For a showing please contact us by filling out the form on this page and we will get back to you shortly!